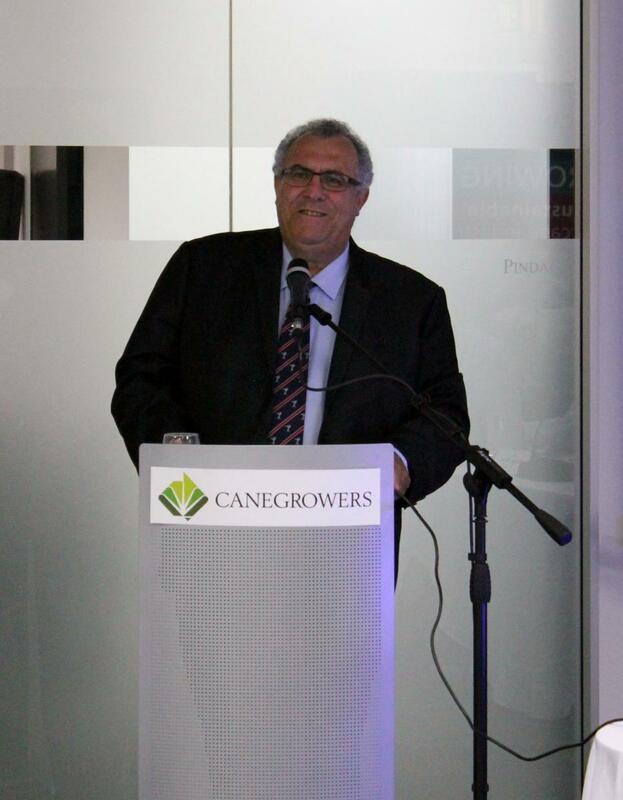 Chairman Paul Schembri has told the CANEGROWERS Annual General Meeting that the past year has emphasised the importance of a strong, united and well-resourced voice for the sugarcane growers of Queensland. And he said CANEGROWERS will continue to robustly represent the sugarcane growers of Queensland with optimism, knowing that the organisation's members are its strength and that the future is bright. Good Morning. This past year has emphasised, more than ever, the importance of a strong, united and well-resourced voice for the sugarcane growers of Queensland. CANEGROWERS leadership and the dedication of members brought to a successful conclusion the long wrangle over the future of industry structures around sugar marketing services. The signing of Cane Supply Agreements across the Wilmar Sugar mill districts in June 2017 drew the line finally under a bid by the company to seize a monopoly in the provision of sugar marketing services in those regions. From the company’s surprise announcement in 2014, CANEGROWERS’ hard work and unity did not waver until we not only secured grower choice in law in 2015 but saw it written into CSAs. I think this episode is a highlight in CANEGROWERS 90 year record of representing cane farmers and rallying the efforts of members, elected representatives and staff to a common goal. Through all of this turmoil, CANEGROWERS members have remained committed to producing quality sugarcane. In 2016, the industry proudly recorded its ninth consecutive year of increased production. 35 million tonnes of cane were harvested in a season punctuated by rain events which meant, for some regions, working well into the Christmas-New Year period. Sugar prices rode a roller-coaster on the world market, reaching highs of around 24c US/lb before losing half of that value in less than six months. We had several districts in the grip of drought with reduced crop yields while impact of Tropical Cyclone Debbie left its mark on the 2017 harvest. CANEGROWERS in this instance was instrumental in ensuring meaningful government disaster assistance was available to growers as soon as possible after the event. Adding to the pressure on growers has been the continual rises in the tariffs charged for electricity supplied to farms for irrigation. Prices have risen 130% over the nine years since the pricing system was changed. CANEGROWERS has been pursuing every opportunity to expose the flawed pricing structure behind this increasing impost, the huge benefit that flows to the Queensland Government from it and to advocate for reform. That the issue is now on the national agenda is partly due to the unstinting work of CANEGROWERS and others in the agricultural sector. Membership of the World Association of Beet and Cane Growers and attendance at International Sugar Organisation events are an important part of the representative role that CANEGROWERS fulfils for Australian growers. The meetings reinforce that some of the challenges facing our sugar industry are being experienced globally. In Australia, CANEGROWERS is meeting them head on. The demonisation of our product as the main cause of the modern health issue of widespread obesity is being felt in every producing nation. In Australia, CANEGROWERS has secured from both major political parties a commitment that there will be no tax on the sugar content of soft drinks. This is too simple a response to the problem. With increasing pressure on agricultural systems for their impact on the wider environment becoming a factor in the marketplaces, these international gatherings hold up the Australian sugar industry as a world leader in innovation. CANEGROWERS commitment to ensuring growers meet community expectations around environmental stewardship and satisfy the increasing demand for a sustainable product were rewarded internationally. Smartcane BMP was recognised as being aligned to Bonsucro, the international standard for sustainable sugar, at a world sugar industry event in the UK. Smartcane BMP has grown, proving the commitment of farmers to a future which is profitable, productive and sustainable. More than 70% of the sugarcane growing area in Queensland had been benchmarked in the program and as at June 2017, 15% of the cane area was been accredited in the three core modules. As environmental concerns turn investment dollars towards renewable resources, the Australian sugar industry is in the spotlight. From biofuels to electricity, pharmaceuticals and industrial chemicals, the emerging biofutures industry is turning to our ability and experience in growing a good quality feedstock. We are a sunrise industry that is helping to put Queensland on this new industrial map. CANEGROWERS will energetically represent growers as billions of dollars in investment is realised and pilot projects become larger scale operations. Our crop is the catalyst and the rewards must also flow in the form of solid financial returns to farming businesses. CANEGROWERS will continue, as it has for the past 90 years, to robustly represent the sugarcane growers of Queensland. We do so with optimism and knowing that our members are our strength and that together we face a bright future.